Objective: Root surfaces of periodontitis-affected teeth are hypermineralized and contaminated with cytotoxic and other biologically active substances. Various root conditioning agents have been recommended as an adjunct to mechanical root surface debridement to expose dentin collagen and cementum bound proteins. The aim of the present in vitro study was to compare the efficacy of ethylenediaminetetraacetic acid (EDTA) and tetracycline hydrochloride (HCl) as root conditioning agents on planed root surfaces. Materials and Methods: A total of 20 human maxillary anterior teeth indicated for extraction due to chronic periodontitis were collected and root planed. The teeth were sectioned and specimens were divided into two groups - Group I and II. Group I dentin specimens were treated with EDTA and Group II specimens were treated with tetracycline HCl solution at a concentration of 10% by active burnishing technique for 3 min. The root surface samples were then examined by scanning electron microscope. 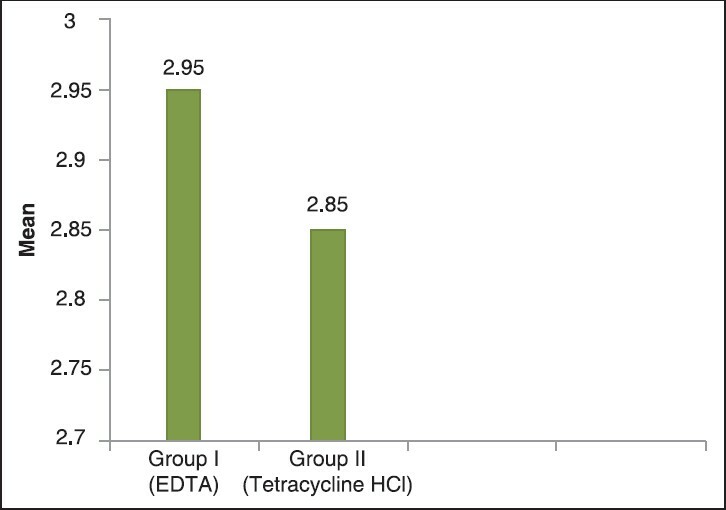 Results: The results of this study showed that EDTA and tetracycline HCl were equally effective in removing the smear layer. It was observed that the total and patent dentinal tubules were more in number in teeth treated with tetracycline when compared to EDTA group. However, EDTA was found to be much more effective as root conditioning agent because it enlarged the diameter of dentinal tubules more than that of tetracycline HCl. Conclusion: The results of in vitro study showed that both the agents are good root conditioning agents if applied in addition to periodontal therapy. However, further studies are required to establish the in vivo importance of EDTA and tetracycline HCL as root conditioners. Aim: This clinical study was conducted to observe and note the effect of variation in inter-appointment time period on the incidence of post-operative pain following single-visit versus two visit endodontics in vital and nonvital teeth with and without periapical radiolucency. Materials and Methods: A total of 80 adult patients requiring root canal therapy in anterior and premolar teeth were selected for this study and divided into four groups. Two sitting root canal treatment was carried out in three groups (Group 1 with inter-appointment time of 72 h, Group 2 with inter-appointment time of 48 h and Group 3 with inter-appointment time of 24 h) and single sitting root canal treatment was carried out in one group (Group 4). The subjects were recalled after 2 weeks and instructed to fill out a series of self-report questionnaires for responses about pain in the interim after 1 day, 2 day, 3 day, 1 week and 2 weeks. Results: Though comparison of pain incidence in different groups was not statistically significant, there was a greater tendency for post obturation pain incidence in teeth treated with single sitting root canal therapy and those with inter appointment period of 72 h. Results obtained were comparable to those obtained by several investigators. The C-shaped root canal system is an aberration of the root canal system in which a characteristic fin or web connects individual canals, resulting in a C-shaped cross section. 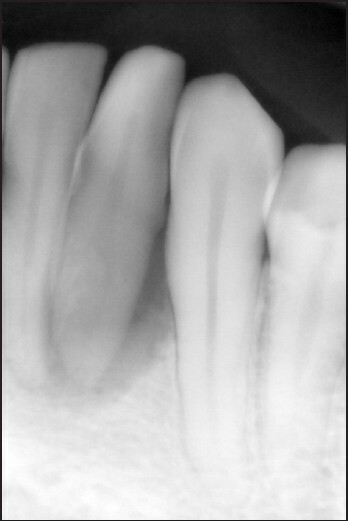 This configuration has been rarely reported in the mandibular second premolar. 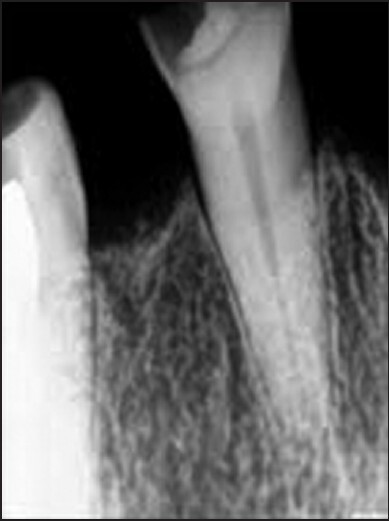 The only other known reported case of a C-shaped canal, with its configuration, in relation to mandibular second premolar is of an extracted tooth. The purpose of this report is to describe the diagnosis, configuration and endodontic management of C-shaped root canal in mandibular second premolar. 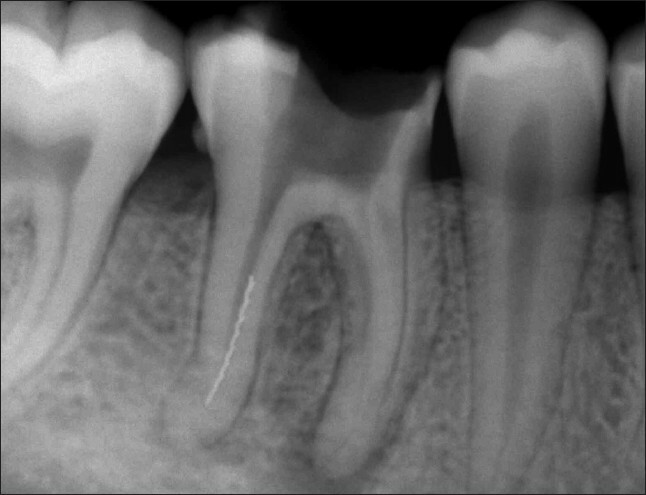 Clinical techniques to addresses the challenges in endodontic disinfection as well as cleaning and shaping of the C-shaped canal, which is prone to endodontic mishaps, are also discussed in this case report. 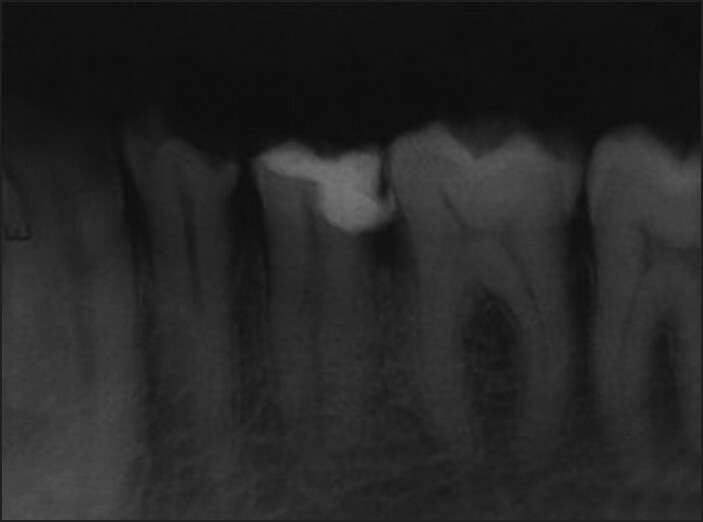 Reporting of this case emphasizes the need and added advantage of using the dental operating microscope hand in hand with conventional radiography in management of the C-shaped root canal configuration. One of the most frequent endodontic mishaps is the separation of the endodontic instrument in the root canal. The separation influences the final outcome of the root canal therapy. It interferes with the proper debridement and shaping procedures as well as with irrigation of the canal portion apical to the level of obstruction. It also prevents three dimensional fluid tight sealing of the root canal system. When an attempt to bypass such a fragment becomes difficult it is advised to retrieve it by mechanical devices. Instrument removal system (IRS) is one such a device for orthograde removal of intracanal metallic obstructions. 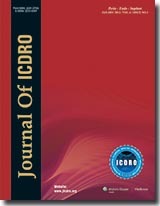 This clinical case describes the usage of IRS for retrieval of separated instrument in the posterior teeth. The health of the tooth is governed by both endodontic tissue and periodontal apparatus. "Endo-perio lesion" is the term used to describe the lesions in which inflammatory products involves both pulpal and periodontal tissues in varying degrees. The disease of endodontium may lead to the involvement of the periodontium and vice versa. Endo-perio lesions are the clinical conditions that are often difficult to diagnose and persistent if not treated appropriately. Lasers have been used successfully in endodontic as well as periodontal procedures. With endodontic treatment alone, only part of the lesion will heal to the level of the secondary periodontal lesion. Overall prognosis depends upon the severity of periodontal damage and the efficacy of the periodontal treatment. Laser can be considered as an efficacious tool and an adjunct to conventional periodontal therapy both for its decontaminating and biostimulating effects. Implants are being used in practice today with ever increasing types of implants and simple procedures through which dentists can place them. However, the chance for a complication to occur while placing implants has been largely under-estimated. This is primarily because emphasis is not placed in avoiding important neurovascular structures such as the nasopalatine canal during implant surgery. Cone beam computed tomography (CBCT) is being widely utilized in implant treatment planning. Third-party software is applied to CBCT data to enable treatment planning. Several of these treatment plans are used to fabricate stereo lithographic guides which will help with placement of the implant at the planned site with total precision. This case-review explains how CBCT can help in placing implants with the help of a surgical guide in anatomically challenged areas such as the nasopalatine canal. Introduction of osseointegration by Branemark and coworkers and replacement of missing teeth by implants has revolutionized oral rehabilitation. As a result, restoration of form and function has shown a paradigm shift. Implant-supported restorations in completely or partially edentulous patients have proven to be highly predictable in numerous studies. Patients increasingly demand prosthesis that are not only functional but are equally esthetic; hence, implants placed in the anterior esthetic zone, pose a huge challenge. At times thorough planning and diligent execution can spare the patient from elaborate procedures of grafting. 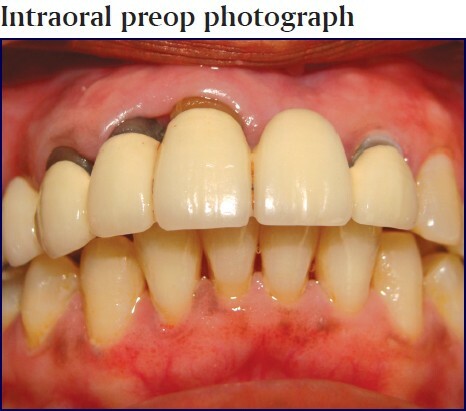 One such case report of restoring the esthetic zone in a female patient has been reported here with a 5-year follow-up.